League of Angels II has released its first Expansion: Angel of Desire on Nov. 17th! The Eternal War reignites and with it comes the true testing grounds for elite heroes! A brand new Angel has appeared to lead the heroes to their destiny. After many clues were dropped, the true identity of this Angel has been finally revealed! She is Dora, the Angel of Desire! Learn more about Dora and how she shaped the history of Sapphire. At the center of the Expansion, this Angel princess comes from a great lineage and has been blessed with incredible power. While this is her first appearance in LoA2, Dora has played a key role in all the major events of Sapphire up until now. She was directly involved in the release of the Prime Evils, and is now leading the heroes of Sapphire on a trial into the Eternal War of the Elementals. But what is her ultimate goal? 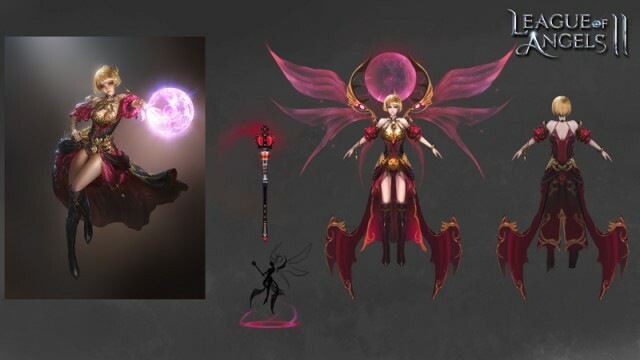 The League of Angels II team invited famed artist Ghost Lee, who created artwork for the original game including Theresa’s design, once again to create a one-of-a-kind Angel. Once Dora’s gorgeous concept art was finished, it was passed to the LoA2 team’s veteran 3D artists. They made sure Dora was faithfully transitioned into the game and fully represented her unique character. With her short hair and determined attitude, she is sure to stand out among the Angels. Although Dora’s bold and often reckless methods have been highly controversial, there is no questioning her talents and incredible power! As a Support hero, she has the unique ability to manipulate the Rage of both enemies and allies! Will the Angel of Desire and her risky plan set Sapphire on a course to salvation or doom? Who will rise in triumph over the bloody battlefields of the Eternal War? Those stories are waiting for you to write! 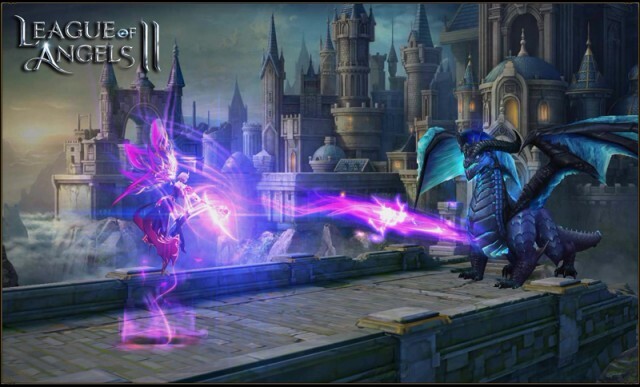 Play League of Angels II now and experience the best free to play browser MMORPG of 2016!